The International Monetary Fund (IMF) and the World Bank have launched a joint project called “Learning Coin,” a private blockchain-based coin only accessible within IMF and the World Bank to help multinational agencies learn about the merits of blockchain. 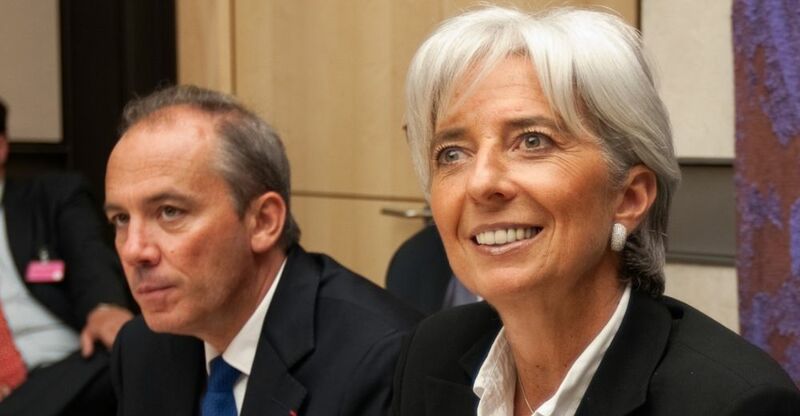 Lagarde told CNBC that financial watchdogs need to keep an eye on disruptive technologies so that it would not affect the stability in the global banking system. “This is forcing central banks, regulators, and financial institutions to recognize a growing knowledge gap between the legislators, policymakers, economists, and the technology,” said the statement. The former French finance minister has become an unlikely champion of blockchain. In a speech delivered at the Singapore FinTech Festival in November 2018, she has suggested that the central banks consider issuing digital currencies. The position is somewhat at variance with many other supranational regulators such as the Bank of International Settlements (BIS). The Basel-based watchdog has expressed skepticism about the state-backed digital currencies due to potential impacts on monetary policy and the risks of capital flight. IMF and World Bank’s interest in all things blockchain and FinTech are not surprising given the speed with which the distributed ledger technology is increasingly making its impact felt in the banking sector worldwide. Besides central bank digital currencies, at least six international banks have plans to issue “stable coins” or cryptocurrencies linked to fiat currencies to better facilitate cross-border remittance. The IMF continues to push for a balanced approach to fintech, a position reiterated during a high-level stakeholder meeting on fintech developments held in Singapore in March. The Bali Fintech Agenda serves as the blueprint for the IMF to engage with stakeholders such as the city-state’s central bank, the Monetary Authority of Singapore (MAS), to formulate sound regulations that promote innovation while mitigating risks. The agenda, which calls for a balanced approach to fintech, was launched during IMF/World Bank Annual Meetings in Bali in October 2018. The IMF’s Fintech Advisory Group include members from both the public and the private sector, such as Circle chief executive Jeremy Allaire, executive chairman of Ripple Chris Larson, MIT Professor Robert Merton, Bank of Canada deputy governor Carolyn Wilkins, MAS’ chief fintech officer Sopnendu Mohanty.